ARLINGTON, Va. — The Mine Safety and Health Administration today announced that federal inspectors issued 225 citations and six orders during special impact inspections at 15 coal mines and six metal and nonmetal mines in July. Begun in force in April 2010, the monthly inspections involve mines that merit increased agency attention and enforcement due to their poor compliance history or particular compliance concerns. MSHA conducted impact inspections at mines in Alabama, California, Indiana, Kentucky, Michigan, Nebraska, Pennsylvania, Tennessee, Virginia, West Virginia and Wyoming. MSHA conducted an impact inspection on July 29 at Ulrich Gravel, Inc., Ulrich Pit, in Valley County, Neb. Inspectors found hazards similar to those identified after a mining fatality occurred at this operation just five month ago. On March 17, a 44-year-old miner was maneuvering a loaded haul truck along an elevated roadway next to a dredge pond, when the vehicle drifted into the water. The victim was removed from the truck, and died two days later in a trauma center. Enforcement personnel issued 13 citations to the mine operator for violations of various mandatory health and safety standards and two imminent danger orders removing miners from dangerous, unprotected walkways located near open water. During their inspection, federal enforcement personnel watched as a contract welder and a pumper slid down a bank and stepped on a Jon boat, then stepped from the boat to the pontoons of the dredge, to an 8-inch piece of pipe and to the walkway on which they were working. Those actions could easily have led to slipping, tripping or falls near water that could have resulted in drowning. Since April 2010, MSHA has conducted 987 impact inspections and issued 14,786 citations, 1,256 orders and 57 safeguards. Editor’s Note: MSHA’s Monthly Impact Inspection List for July 2015 is available online. CHICAGO — The U.S. Department of Labor is suing an Illinois home health care provider alleging that the company, the profit-sharing plan and two of its trustees improperly authorized distributions of $1,601,908 in profit-sharing plan assets, in violation of the Employee Retirement Income Security Act. The department’s suit names Palos Hills-based Alliance Home Healthcare Inc.; the Alliance Home Healthcare Inc. Profit Sharing Plan; and company owners and plan trustees, Reginaldo Sulit and Dalisay Sulit. The action alleges that the company President and Secretary/Treasurer, Dalisay Sulit and Reginaldo Sulit, respectively, and the company took distributions of more than $1 million, to which they were not entitled. The suit asserts that these plan withdrawals were not in the best interests of the participants and beneficiaries of the employee benefit plan, as required by the law. The withdrawn plan assets were used for non-Plan purposes, including directly benefitting the company. Filed in the U.S. District Court for the Northern District of Illinois, Eastern Division in Chicago, the suit seeks the restoration of all related plan losses, including lost opportunity costs, and a court order requiring the defendants to account for and restore losses to plan participants. The department is also seeking to permanently enjoin the defendants from serving as fiduciaries or service providers to any plan covered by ERISA. The suit requests the appointment of an independent fiduciary, who would be compensated at the company’s expense, to distribute the plan’s assets to participants and beneficiaries and to terminate the plan. Alliance Home Healthcare established the plan on Jan. 1, 2000 to provide retirement benefits to eligible employees. As of Dec. 31, 2006 — the last year an annual report was filed — the plan had 127 participants and $1.6 million in assets. Alliance Home Healthcare provides skilled health care services to patients in their homes. EBSA’s Chicago Regional Office investigated the case, and the department’s Regional Office of the Solicitor in Chicago is litigating it. Workers and employers with questions about benefit plans can contact a benefits adviser toll free at 866-444-3272 or online at http://www.dol.gov/ebsa/contactEBSA/consumerassistance.html. A federal appeals court on Friday reinstated Obama administration labor protections for home health-care workers, paving the way for minimum wage and overtime benefits to be paid to the nation’s two million workers who provide in-home care for the elderly and people with disabilities. Home health-care workers are disproportionately women (more than 90 percent), people of color (more than half), and immigrants (one in four). One in five are single mothers. These workers often make poverty-level wages for difficult work under stressful conditions, and for 40 years they have been classified by the Labor Department in such a way that they can’t qualify to make minimum wage or receive overtime pay. He also noted a massive shift to providing care for the elderly in their own homes rather than in nursing homes, which requires workers to offer more advanced medical care and assistance to clients than the mere “companionship” services envisioned in 1974. The new regulation, which was upheld by a three-judge panel after being stymied by a district court ruling late last year, closes this loophole in the Fair Labor Standards Act (FLSA) that exempted “companionship” workers from overtime or minimum wage requirements. This loophole reflected an outdated view of home care workers as informal “sitters” for elderly or disabled people, advocates say. The loophole also ignored the reality of what home care work entails (feeding, bathing, rehabilitating, managing medications, and more) and how large the $84 billion home care industry is. Home care work is among the nation’s fastest-growing occupations, but it has a 50 percent turnover rate partly due to low pay, long and unpredictable hours, and physical and emotional stress from the work itself. Even when home care workers technically make the minimum wage, they may effectively make less because they don’t get compensated for travel or overtime, and they often can’t get enough hours to make ends meet. Three out of five home care workers rely on public assistance. The regulation expands protections to workers serving private households and hired by “third party” employers, which describes the vast majority of home care workers today. Home health care industry officials are reportedly still considering their options, including whether to appeal the case to the Supreme Court. Meanwhile, as BuzzFeed News notes, implementation will be the next challenge once the rule goes into effect. Wage theft is rampant even in industries that have wage and overtime protections. And there are still certain classes of workers who don’t enjoy those basic legal protections, including many agricultural and domestic workers as well as employees of small businesses with annual gross sales of less than $500,000. Palo Alto is a relative latecomer when it comes to establishing a minimum wage, but a new proposal that the City Council is set to discuss Monday, Aug. 24, looks to place the city ahead of the regional pack. The council will consider a proposal that would set the local minimum wage at $11 an hour starting in 2016 and put the city on a path to see the figure rise to $15 by 2018. The plan, which was crafted and unanimously endorsed by the council’s Policy and Services Committee in April, would align the city with a broader push across the state to raise the minimum wage. The California minimum wage is set to rise from $9 to $10 per hour in January 2016, though cities from across the state are moving ahead with their own local laws that go beyond this standard. San Jose voters led the way by adopting a minimum-wage ordinance in 2013, with the hourly rate currently set at $10.30 and tied to consumer price index (CPI) increases. San Francisco followed suit last November with an even more aggressive proposal, one that increased the wage to $12.25 on May 1 and that gradually raises to $15 by July 2018. Berkeley, Emeryville, Richmond, Oakland, San Diego, Los Angeles and San Diego have all adopted minimum-wage ordinances in recent years, with varying amounts and adjustment mechanisms. In Santa Clara County, the cities of Campbell, Morgan Hill and Santa Clara are now considering such ordinances. Palo Alto’s new law is modeled in many ways after those of its neighbors, namely Mountain View and Sunnyvale. Councils in both cities adopted ordinances last October that set the minimum wage at $10.30, effective July 1 of this year. The ordinances also call for annual adjustments in the minimum wage, based on the CPI. Mountain View, like San Francisco, has also embarked on the “$15 by ’18” path, which Palo Alto also plans to follow. Though Palo Alto has only recently started exploring a local minimum-wage ordinance, it is moving fast. The topic came up during a debate before last November’s council election, with just about every candidate enthusiastically endorsing a higher minimum wage. In February, four council members formally sparked the move in a colleague’s memo that proposed a local minimum wage. While most cities are focusing on their own particular minimum-wage ordinances, others are building coalitions and calling for more coordination. In June, the mayors of Mountain View and Sunnyvale co-wrote a letter to their counterparts in Palo Alto and Campbell (which is also pursuing a minimum-wage ordinance) urging a “joint approach” to reaching the $15-per-hour standard. McAlister also serves on the Cities Association of Santa Clara County subcommittee that focused on the minimum wage and that in June released a report calling for better regional coordination of these efforts. If the Palo Alto City Council embraces the specific recommendations from its committee, the city’s minimum wage would hit the $11 mark in January, exceeding the $10.30 levels in Mountain View and the state threshold of $10. It would be adjusted every year based on cost of living and it would cover employers who are either subject to the city’s business registry requirements, conduct business in Palo Alto or maintain a business facility in the city, according to a new report from the Office of the City Attorney. The city also plans to enter into an agreement with the City of San Jose Office of Equality Assurance to enforce the local ordinance, a similar arrangement to the one that the office enjoys with Mountain View and Sunnyvale. Palo Alto’s proposed ordinance also expressly prohibits retaliation against employees who complain about an employer who doesn’t comply with the law. Violators could face an daily fine, an administrative compliance order or, in the most extreme cases, a civil action launched by the city for injunctive relief. In the lead-up to the final decision, the city is surveying local residents and businesses to get their thoughts on raising the minimum wage (the survey can be accessed at here). The city also asked residents on its online forum, Open City Hall, what they think about the proposal and received 52 responses, with about two-thirds saying they are in favor of the proposal. Opponents characterized the plan as well-meaning but ultimately misguided. Darryl Fenwith of Downtown North wrote on the city’s forum that while it would be nice to find a way to help low-skilled workers live in high-priced areas like Palo Alto, raising the minimum wage could actually hurt workers by “denying them employment opportunities, reducing work hours, or being dismissed from employment.” While raising the minimum wage may hurt some, it would hurt others, Fenwith wrote. NEW YORK — Divorce attorneys are bracing for a surge of new clients after the release Tuesday night of data stolen from the infidelity dating site Ashley Madison. Ashley Madison, which is owned by Toronto-based Avid Life Media, confirmed last month that data was swiped from its servers after the hackers threatened to post the stolen information online. The hacker group, which called itself The Impact Team, vowed to publish personal information on the “cheating dirtbags” who use Ashley Madison and “deserve no such discretion” unless the site got shut down. The hackers also criticized the company for charging users $19 to delete their data from the site, claiming it didn’t fully wipe user data. Credit: Ashley MadisonDivorce lawyers are preparing for a ‘tsunami’ of calls after AshleyMadison.com client data was released by hackers. One lawyer predicted that law firms won’t be the only ones seeing an uptick in business. Still, she said, some of the clients she expects to speak with in the coming days won’t necessarily end up getting divorced. 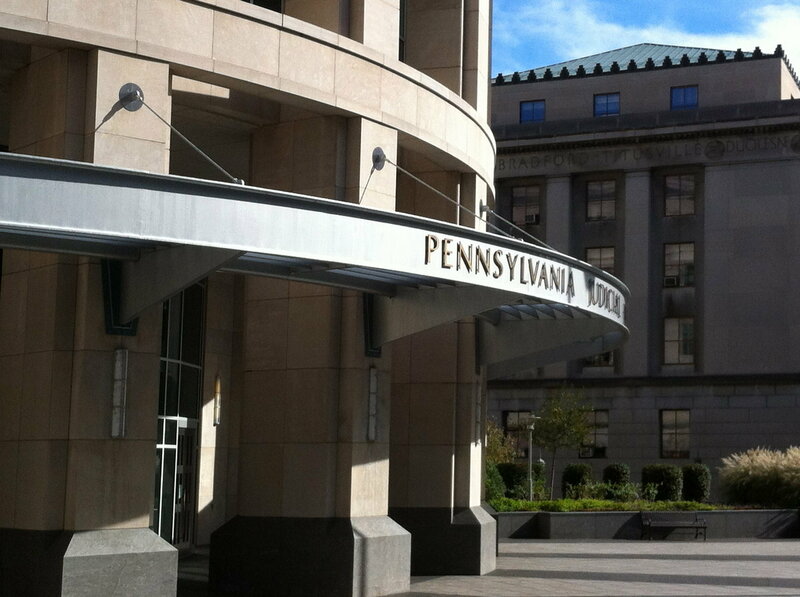 A Commonwealth Court panel has ordered that worker compensation death benefits be paid to a Pennsylvania widow who claimed her husband was literally worked to death. The judges sided with Judith Dietz, who sought the death benefits for herself and her young child after her 48-year-old husband, Robert, died from a heart attack while working a 14-hour shift for the Lower Bucks County Joint Municipal Authority. Judith Dietz appealed to the court after the state Workers Compensation Appeal Board denied her plea for that aid. The appeals board concluded there wasn’t sufficient proof that the long, strenuous shift Robert Dietz worked on Nov. 7, 2007 caused his fatal heart attack.Judge Mary Hannah Leavitt disagreed in the recent Commonwealth Court opinion overturning the appeals board decision. There was plenty of proof that Robert Dietz’s heart attack was work-related, she concluded. “The overwhelming circumstantial evidence…shows that exertion from (Dietz’s) regular work activities over the course of a 14-hour workday caused his heart-attack,” Leavitt wrote. The municipal authority had argued that pre-existing health issues and a history of smoking, not Dietz’s physically demanding job as a field maintenance worker, prompted the heart attack. Dietz did that job, which involved running a jackhammer and other strenuous labor, for 20 years. The distinction regarding whether the heart attack was job-related was important, because a link between a dead employee’s work and the death must be established for the surviving spouse to be eligible for workers comp benefits. For example, a widow with one child is entitled to 60 percent of the dead worker’s wages and up to $3,000 for burial expenses. Although the authority presented medical testimony that Robert Dietz’s medical history made it likely he would have a heart attack even if he was not working, Leavitt gave greater weight to a doctor who testified for the Dietz family that the long, strenuous workday provided the fatal catalyst. The Commonwealth Court ruling could be appealed to the state Supreme Court. PROVIDENCE, R.I. (WPRI)- Governor Gina Raimondo has given thousands of Rhode Island residents a raise. The governor signed a bill into law yesterday that raises the state’s tipped minimum wage from $2.89 an hour to $3.89 an hour over the next year and a half. This is Rhode Island’s first increase in the tipped minimum wage in 20 years. The state currently has the lowest wage for tipped workers in all of New England.Governor Raimondo says the increase will help more than 22,000 tipped workers in the state. “These are hard-working people. They deserve a livable wage. My job is to make Rhode Island a place of opportunity for everybody and, if you work full-time, you shouldn’t live in poverty. 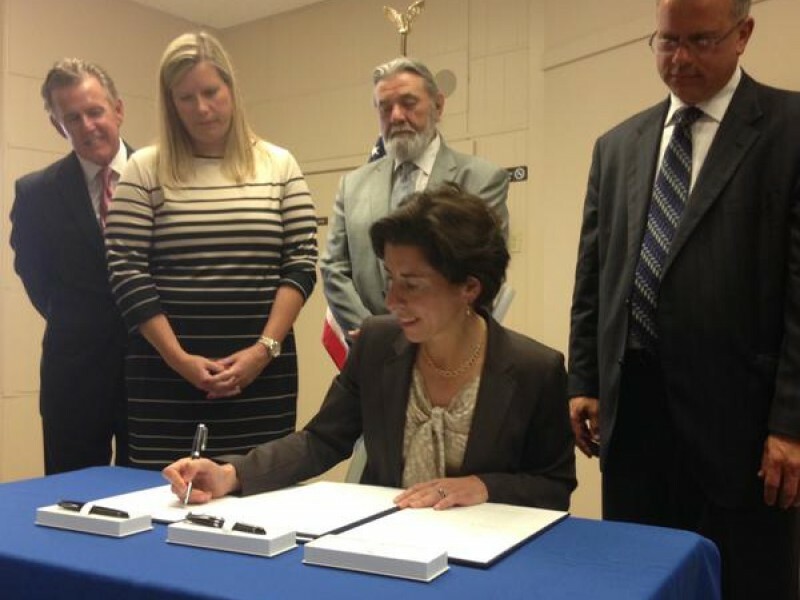 So, I feel great that we increased the minimum wage,” said Raimondo. Advocates for restaurant workers say the increase still does not go far enough. “Even with this increase, servers are still going to be paid 31% of the full minimum wage, which is still less. That’s a second tier and that’s unacceptable in a democratic society, right?,” said Michael Araujo of ROC United. Governor Raimondo says the change will be easier on local businesses since the dollar increase is spread out over 18 months. 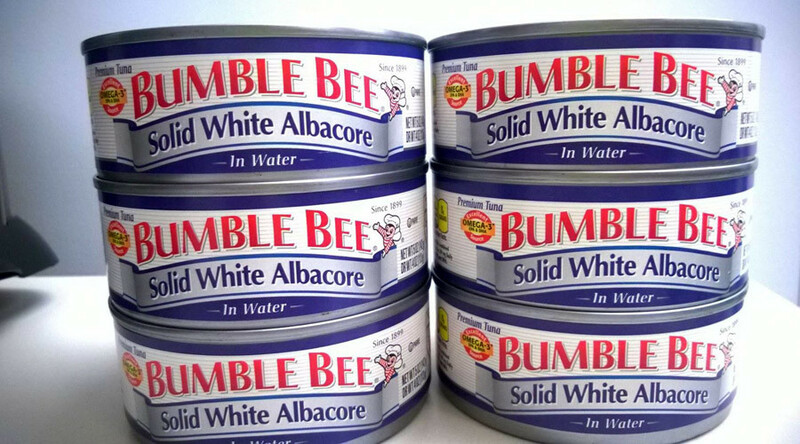 Canned-tuna producer Bumble Bee Foods has agreed to a record $6 million settlement in the death of a worker cooked to death in an industrial oven with 12,000 lbs of fish. 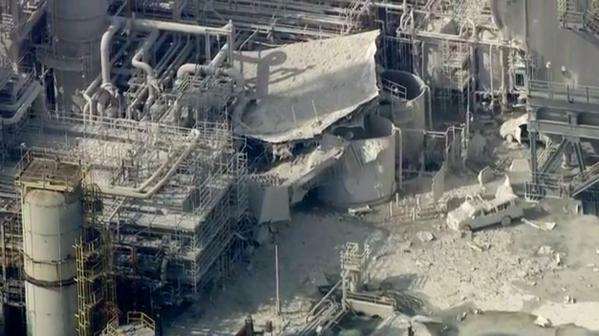 The company and two managers charged in the incident have pleaded guilty. 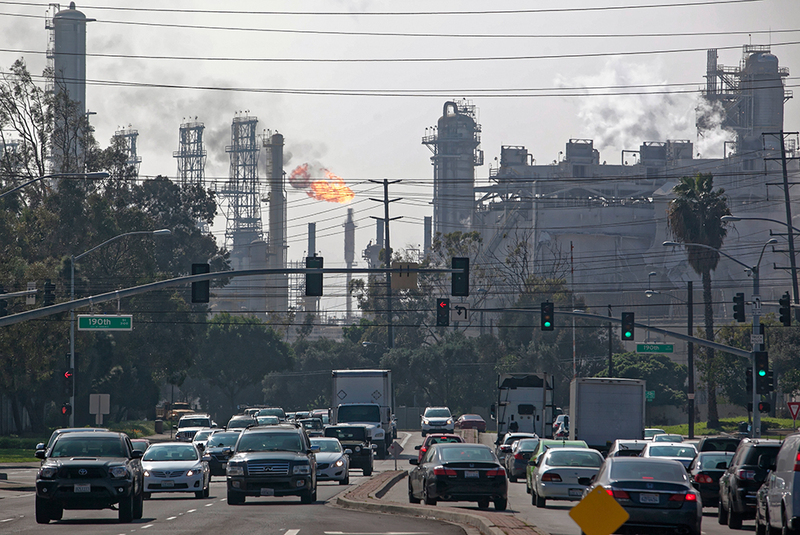 The $6 million payout is the largest known in a California criminal prosecution for workplace safety violations involving a single victim, the Los Angeles County District Attorney’s Office said in a statement. In October 2012, Jose Melena, 62, was performing maintenance work in a 35-foot-long industrial oven at Bumble Bee’s Santa Fe Springs plant when a co-worker, thinking Melena was on a bathroom break, filled the pressure cooker with thousands of pounds of tuna and turned it on. According to a report by the California Division of Occupational Safety and Health (OSHA), Melena’s supervisor then noticed he was missing. 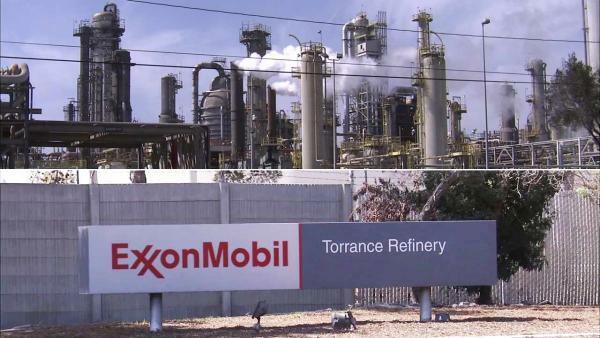 A search was conducted in the plant and parking lot before his body was found two hours later – after the oven had reached a temperature of 270 degrees Fahrenheit (132°C). The settlement will be split into several parts. Bumble Bee will spend $3 million to replace all of their outdated tuna ovens with new, automated ovens equipped with video cameras that “will not ever require workers to set foot inside the super-heated, pressurized steam cookers.” Another $1.5 million in restitution will go to Melena’s family. 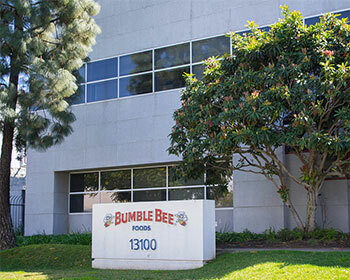 The company will donate $750,000 to the District Attorney’s Environmental Enforcement Fund for the investigation and prosecution of OSHA criminal cases and for “improving enforcement of workplace safety and compliance rules.” Bumble Bee will pay an additional $750,000 in combined fines, penalties and court costs. 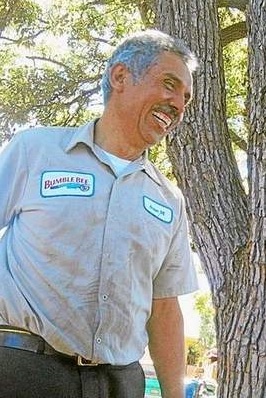 “While this resolution will help bring closure with the district attorney’s office, we will never forget the unfathomable loss of our colleague Jose Melena and we are committed to ensuring that employee safety remains a top priority at all our facilities,” Bumble Bee Foods said in a statement. Along with the financial settlement, the company will plead guilty to the misdemeanor charge of willful failure to implement and maintain an effective safety program within 18 months of complying with the terms of the settlement agreement, which “I hope [it] sends a message that safety rules are not a recommendation, they are a legal requirement,” said Hoon Chun, consumer protection division assistant head deputy for the district attorney, who helped prosecute the case, according to the Los Angeles Times. Prosecutors also charged two managers with three counts of violating OSHA rules, which led to Melena’s death. Both pleaded guilty on Monday as well. The company’s former safety manager, Saul Florez, pleaded guilty to a felony count of willfully violating lockout tagout rules and proximately causing the victim’s death. He was sentenced to three years of probation, 30 days of community labor and must take safety classes on lockout tagout and confined spaces. He must also pay $19,000 in fines and penalty assessments. If he complies with the terms of his plea within 18 months, his conviction may be reduced to a misdemeanor count. Bumble Bee’s Director of Plant Operations, Angel Rodriguez, agreed to do 320 hours of community service, pay approximately $11,400 in fines and penalty assessments, and take classes on lockout tagout and confined space rules. If he complies within 18 months, he may plead guilty to a misdemeanor at sentencing. The company and both men must make public statements admitting their guilt in Melena’s death. ARLINGTON, Va. — In the wake of a deadly day in mining in which three miners lost their lives in separate incidents in Nevada, North Dakota and Virginia on Aug. 3, the Mine Safety and Health Administration is stepping up enforcement efforts and intensifying outreach and education nationwide. In a conference call with industry stakeholders today, Assistant Secretary of Labor for Mine Safety and Health Joseph A. Main expressed his concern over the alarming number of recent deaths. 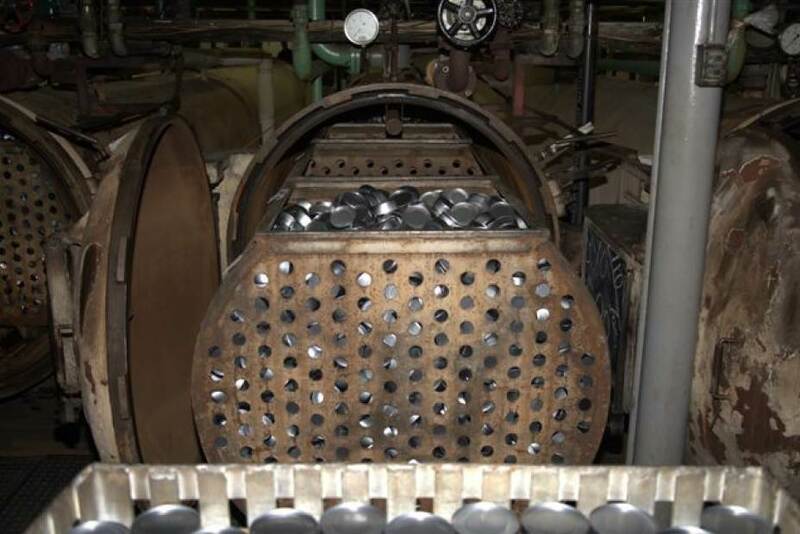 “In the past month alone, there have been five fatalities in the metal and nonmetal industry. Not since 2002 have three miners died in a single day in this mining sector. We cannot — we will not — accept this turn of events. We extend our deepest sympathies to the families of the miners who died in these tragic accidents,” said Main. A loader operator was engulfed by a stockpile failure while standing outside his vehicle at a construction sand and gravel mine in North Dakota. A miner at an underground gold ore operation in Nevada was killed when he was struck by mobile equipment. An 18-year-old plant operator was buried under tons of sand and stone dust when a silo collapsed at a quarry in Virginia. MSHA has launched investigations into the causes of each of these fatalities. Main announced that, beginning next week, the agency will begin beefed-up inspections with a focus on violations commonly associated with mining deaths, and federal inspectors will emphasize “walk and talks” with miners and operators to disseminate information on fatalities and best practices for preventing them. MSHA coal mine inspectors, along with training and educational field personnel, will be tapped to assist in the initiative. In 2014, there were 29 deaths at metal and nonmetal mines and 15 to date this year. “MSHA inspectors will intensify their examination of the types of conditions leading to these deaths and take appropriate enforcement actions,” said Main. Mine operators must examine each working place at least once each shift for conditions which adversely affect safety or health. The examination must be conducted by a competent person. A record of the examination must be maintained and made available for review.